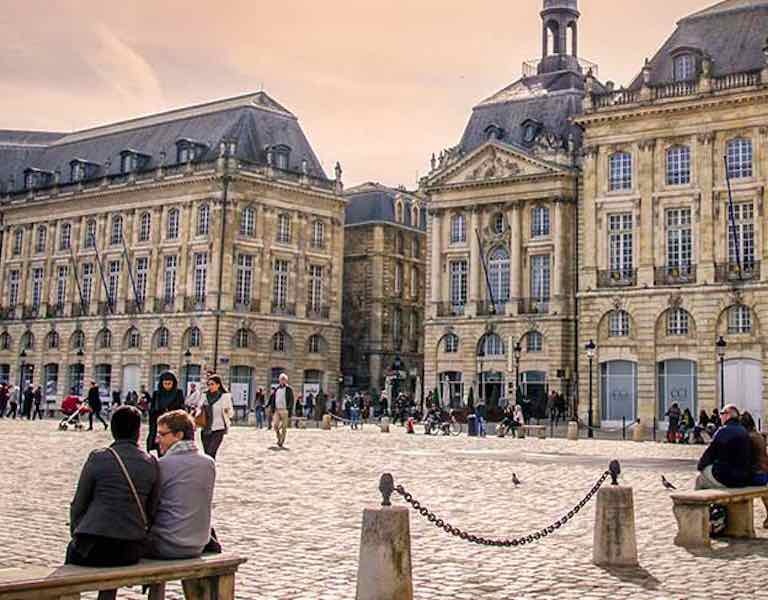 Take a leisurely walk to explore the city of Bordeaux where we pass Roman ruins, Medieval houses, 17./18. century architecture, and modern infrastructure. Discover also the places only known and loved by locals that you won't find in a guidebook: popular restaurants, unusual bars, small squares to rest after a busy day... Full of facts, fun and modern gossip, your visit will be truly memorable. 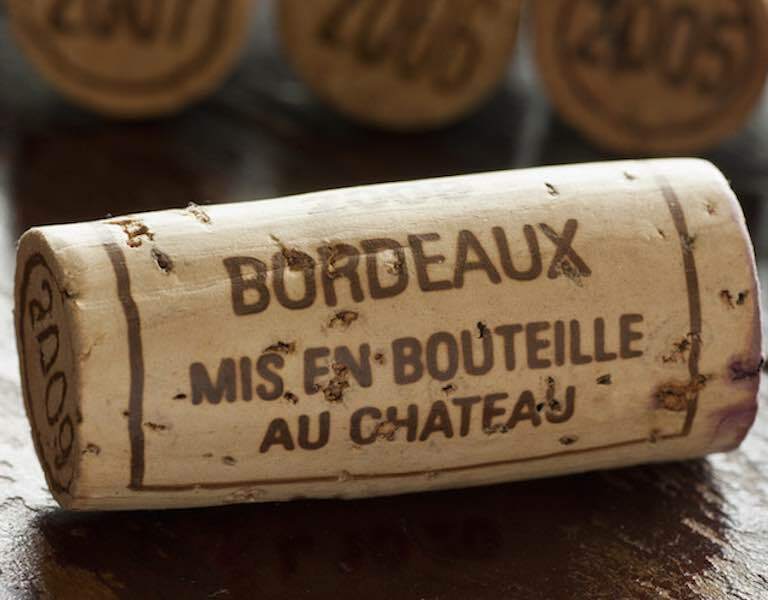 During a wine tasting designed around your preferences, you will discover Bordeaux Wine from the grapes through the harvest, from the barrels to the bottle and into your glass. Learn how the wine trade developed from the Romans through the Middle Ages to the Golden Era and to modern times. Decipher a Bordeaux wine menu to select the right wine for your meal and pick up some trivia to impress your friends with! 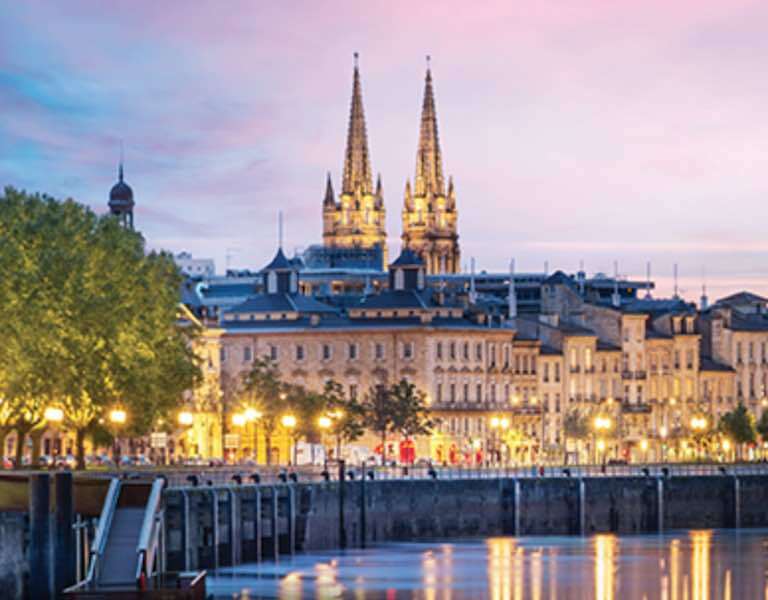 Indulge in the best that Bordeaux has to offer: Wine, Cheese, Chocolate, and the famous Dunes Blanches pastry which we start our tour with. 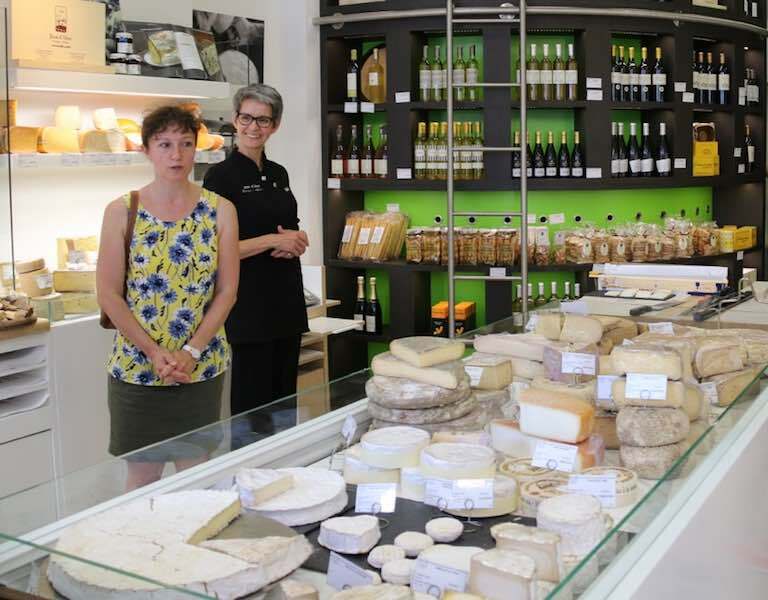 We then visit the best cheese shop in town with it's 15th century cellars where 150 varieties of cheese are stored, matured and loved (tasting optional). Afterwards we visit one of the oldest chocolate shops in town with a dozen variations of dark chocolate and the seductive diamant noir praline. 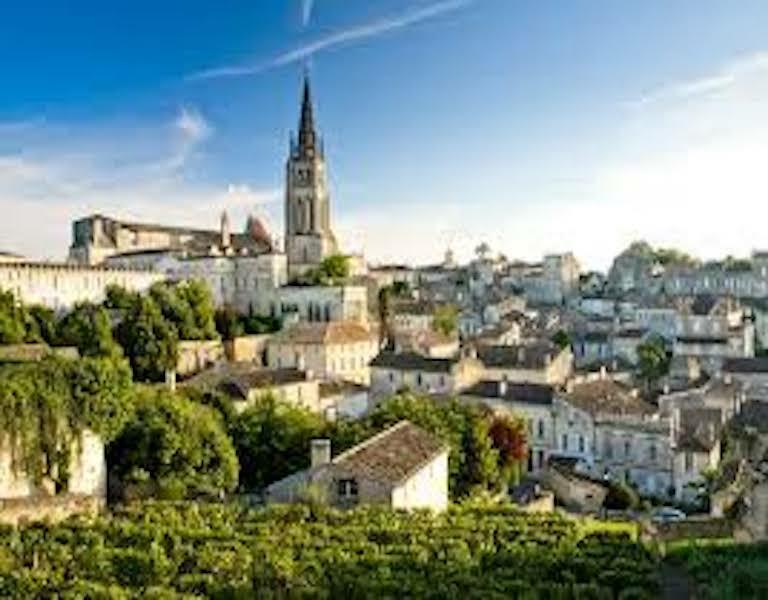 Fancy a visit to the UNESCO town of St.Emilion? Named after an 8th century monk Émilion this town became a centre for pilgrimage and trade in the Medieval Ages. Explore the history and secrets of the Monolithic Church dating back to the 12th century, full of hidden symbols and alchemic clues encoded in the architecture and religious statues. Discover the hidden gardens of the Cordeliers cloister from the 14th century (picnic optional). Follow the path where the Worldly meets the Spiritual: we visit St. Seurin, an early Romanesque Basilica with its mysterious crypt, the Madonna Of The Good News statue and its naughty wood carvings under the misericord seats. 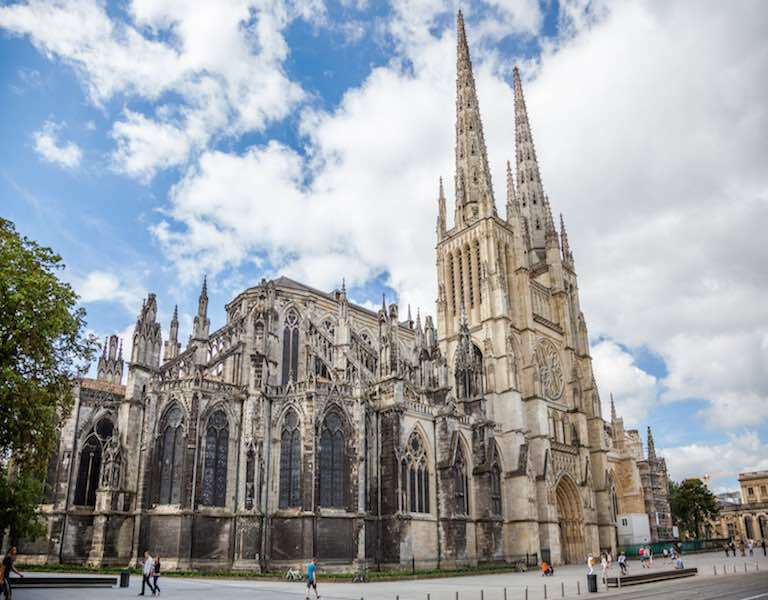 We stroll to the majestic Gothic cathedral Saint-André in the heart of Bordeaux with its Romanesque and Gothic gates full of human and divine drama. We end the tour in an opulent Jesuite Baroque church St. Paul, on a buzzing market square of modern life. Do you prefer your own personalised tour? Would you like to combine elements from our tours and design your own? Are you passionate about specific periods of history and want to learn more? Just let us know what your interests and availability are and together we will create the best visit for you! Took the tour with Anna. Wow, what an interesting, inspiring, energetic and humorous tour - I could have listened to her all day. In fact I wish there could be an Anna in every new town I visit, from now on, to be shown round by. Anna was a wonderful, very knowledgeable guide whose passion for Bordeaux was evident throughout every step of the tour. The Gourmet tour was interesting and Anna's knowledge, passion and enthusiasm made it very special. All of us would highly recommend Anna as a "must do" attraction in Bordeaux. We had a 2-hour tour with excellent guide Anna. It was amazing how she managed for this short period of time to give us a historical overview of the city and surrounded area, to show us all monuments there, and to present other things including gastronomic details. I'm a native English, German and Greek speaker, a natural story-teller with a background in Business and a passion for History and Art. 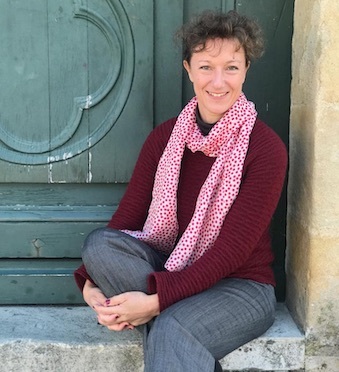 I have been living in Bordeaux since 2009, working as a tour guide specialising in History, Wine, Gourmet, Art and Culture.